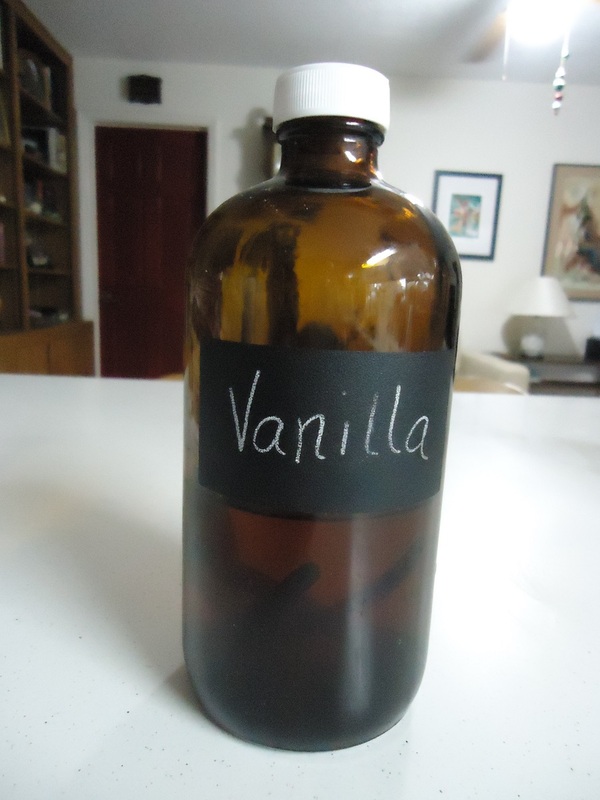 So easy you can make a gallon in five minutes! I know I have said it before but…wine making is so easy, I love it! A few nights ago my wife and I had a couple of good friends over for dinner. It was some nice adult time chatting and sharing a glass (or two 😉 ) of our cabinet wine. After dinner we began talking about wine again! 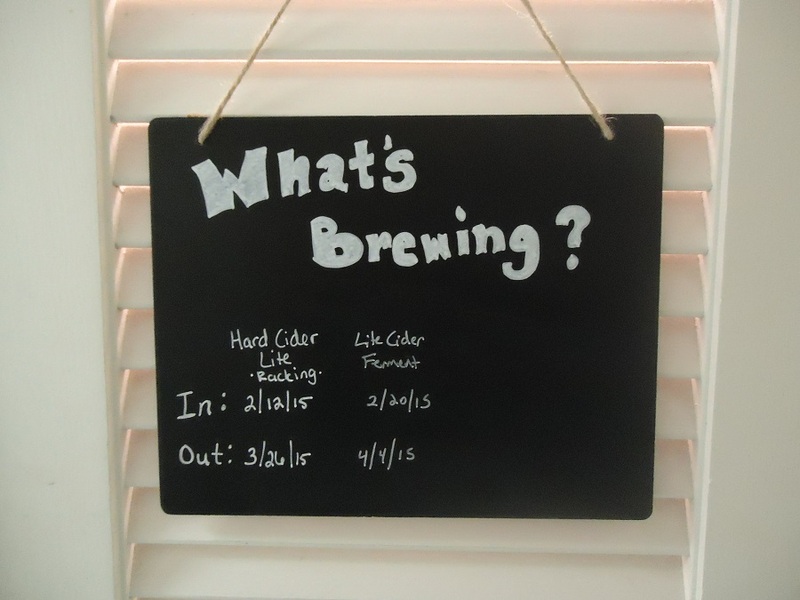 My friend Edgar has been ultra-supportive about my hobby and starting the Cabinet Wine Maker blog. I think he sees the passion in my eyes about wine whenever it comes up. His wife Jess is a great lady who loves good wine. As we began talking one thing led to another and we found our way to the ever popular topic of making wine. I have told Edgar how easy it is and how cheaply one can get into it. Though I know he believes me he was still a little reserved about trying it. Edgar has been saying he wanted to try making wine for some time, I keep telling him how easy it is and we agree he should come over sometime so I show him how it is done. Rinse and repeat! 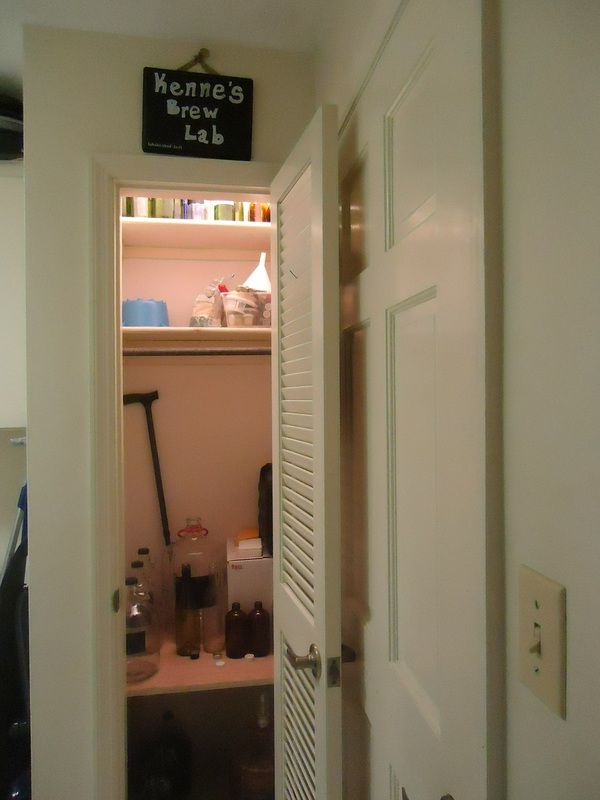 I showed Edgar and Jess the new and improved brew closet, his eyes were wide with interest. 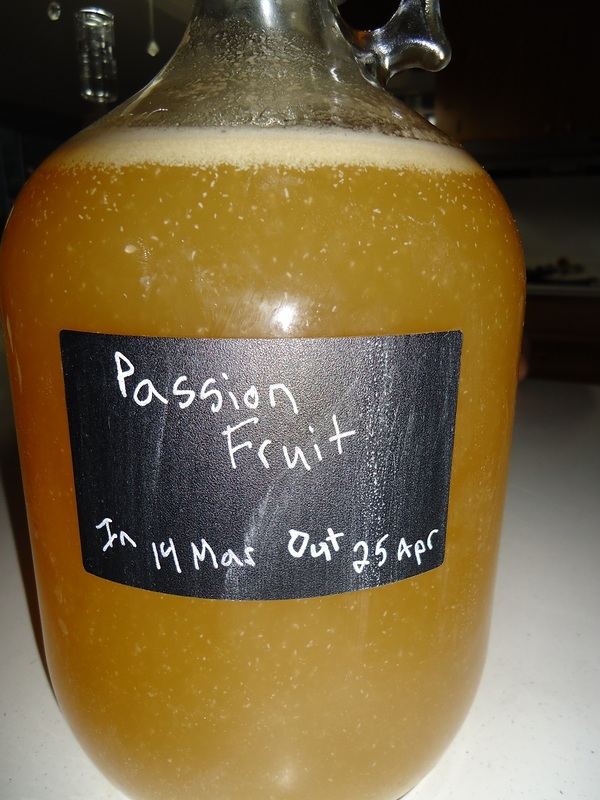 Suddenly I realized they were at the house, I had enough glassware free to do a batch and I had all the ingredients. No better time than the present I said and Edgar eagerly agreed. Immediately I pulled a frozen juice from concentrate from the freezer (I find my wife and I are picking up interesting flavor combinations and storing them on hand). I placed the frozen can in the sink and let warm water pour over it to speed the thawing and set about gathering supplies and ingredients. Before beginning I apologized in advance if I slipped into professor mode; I truly love teaching others how to make wine. 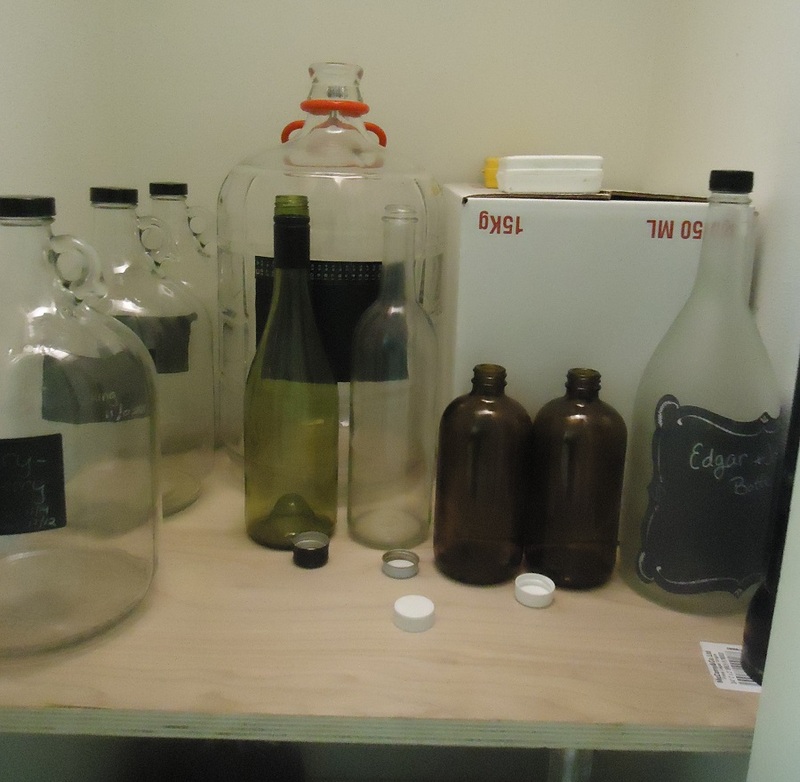 Edgar asked what equipment he would need and I replied ” one gallon container, one screw top for said bottle, one airlock, one rubber stopper and maybe a funnel and measuring cup.” The next question…how much will that cost. I am guessing about $10 or less and shared two local stores where he could get the supplies. I mentioned to them that you could use an empty spring water jug, a rubber band and a balloon. Edgar gave one of those yeah right nervous kind of laughs so I had to tell him a story. 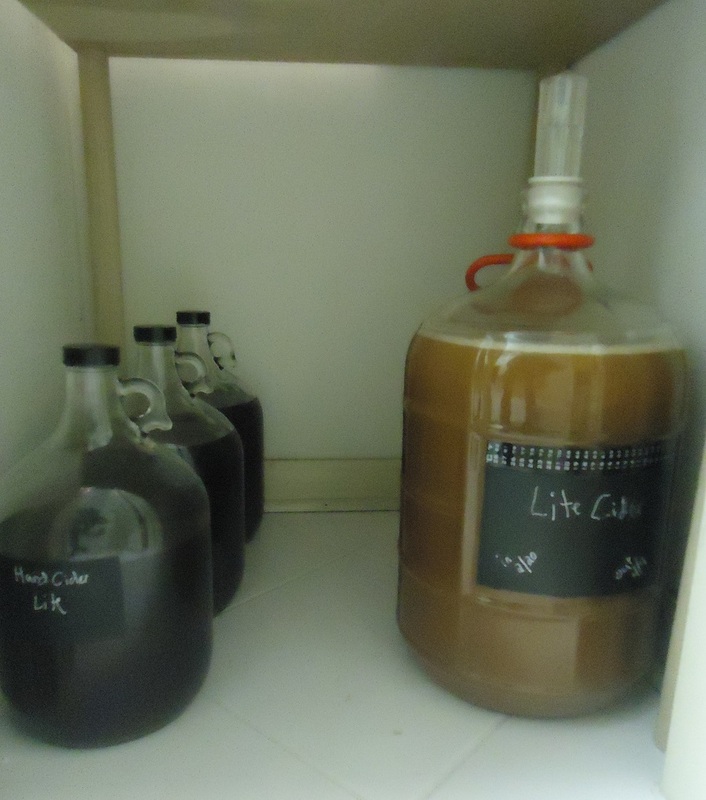 You see my first batch I did just that…I had been thinking about making wine for some time. My wife and I were having dinner with my mom one night and I brought it up. 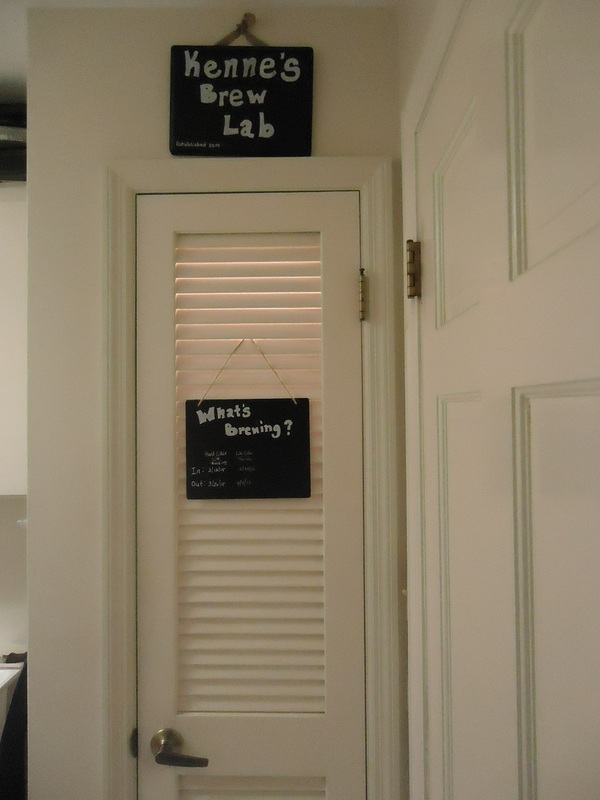 To my surprise Mom let me in on a secret. She used to make wine using an empty bottle, a rubber band and a balloon. Mom explained how you mixed the ingredients and secured the balloon and rubber band. She also explained that the balloon would fill up with CO2 during fermentation and when the balloon deflated the wine would be ready. Long story short when we left mom’s house we stopped at the store and got everything for our first batch. 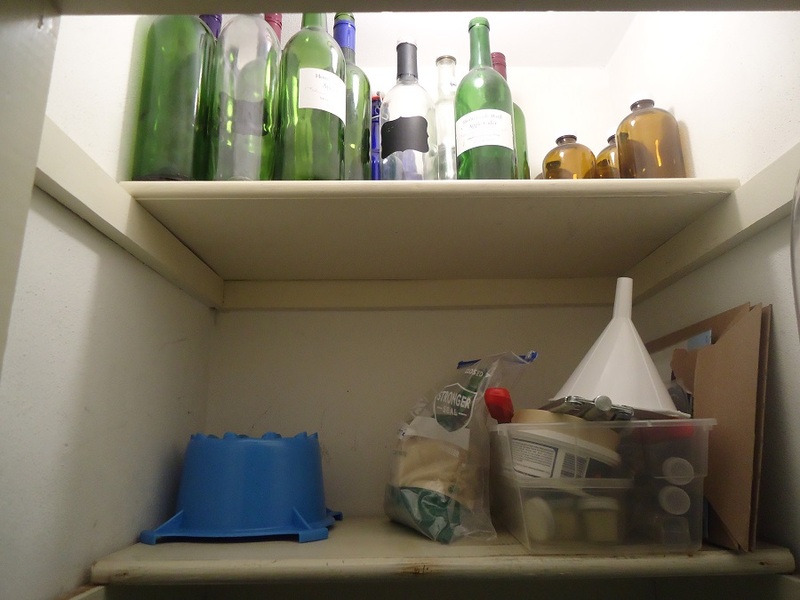 I went home and mixed up my batch and placed the balloon topped container in an empty kitchen cabinet. The next morning the balloon has swelled to larger than the container and I was giddy. The funny part of the story is that the next day I was again at my mom’s house and told her of my new adventure (I didn’t mention the balloon). She laughed and told me a story of a particularly potent batch she made where the balloon burst and wine was all over the cabinet. I swallowed hard and spent the next several weeks hoping my balloon didn’t rupture. 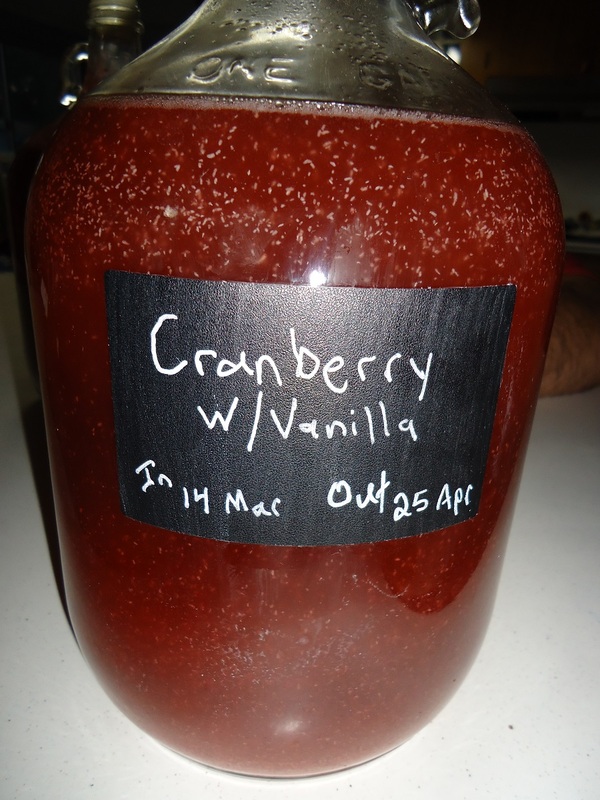 By now the juice from concentrate was fully thawed and I continued on with the demonstration. Sugar, water, juice from concentrate and a packet of bread yeast…in five minutes we were done. Of course I shared some tips and tricks along the way and explained my method and why I did certain things the way I do (Edgar is used to my overly methodical approach to everything). They soaked it in like a sponge. Edgar being a bright guy said “You mean for under $20 dollars and five minutes I can make a gallon of wine and it tastes this good!” With my confirmation and a twinkle in his eye Edgar vowed he knew what he was doing this weekend! I am waiting to see if he and Jess are hooked or not…either way we had a great evening, I shared my passion and I have another gallon in the closet in processes. Homebrew Supplies of Florida, Inc.
Stephen and his wife at Homebrew supplies are great. We originally bought some root beer supplies from them. The kit came not only with the root beer extract but also contained detailed instructions about how to make root beer at home. Since making root beer at home uses most of the same supplies it is a natural fit. 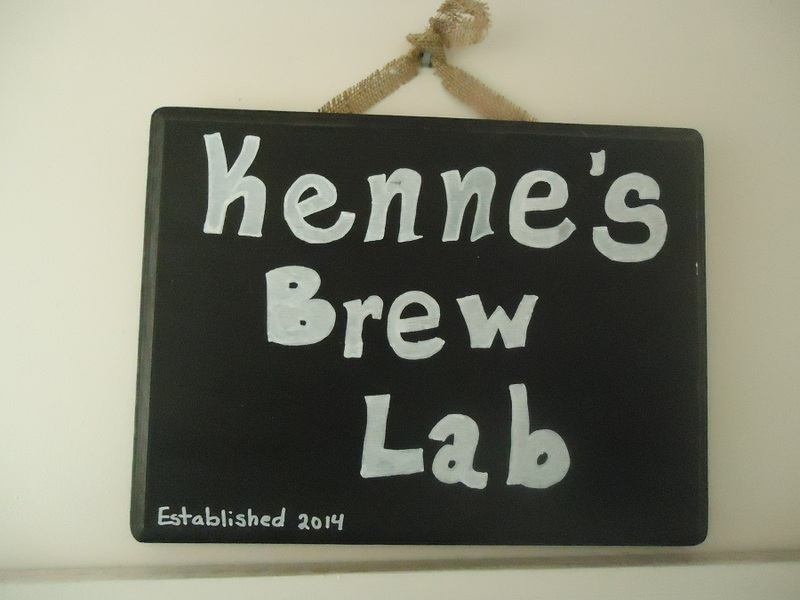 For many this can be a great introduction to home brewing. 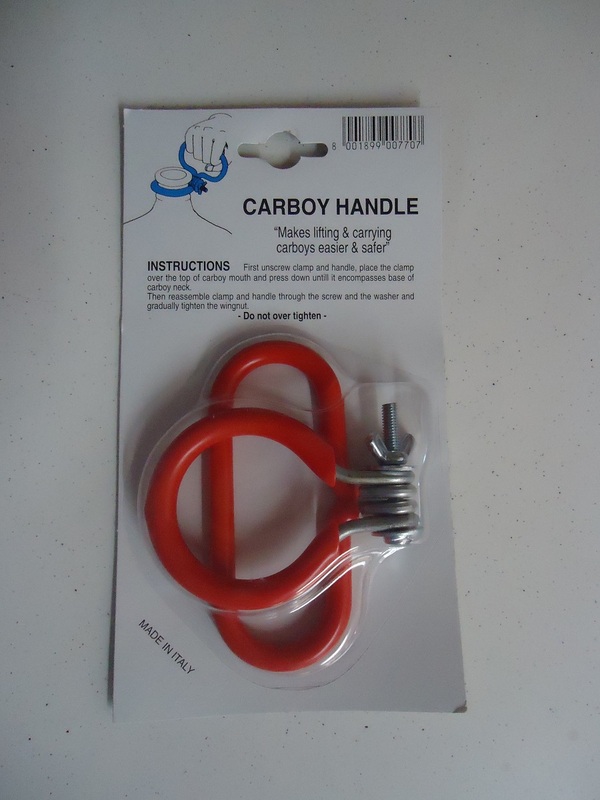 The Homebrew supplies site is great. They have good prices and a lot of supplies for both the beer and wine types. Both Stephen and his wife are very knowledgeable about the process and different techniques. It also helps that they are good people that are easy to talk to. I usually linger for longer than I should! Homebrew supplies is an online storefront and I don’t believe they have a physical store. However, If you are from Orlando you can often find Bacallaos at the Good Neighbors Farmer’s Market in Oviedo on Saturdays. If you strike up a conversation with a passion for wine/beer making, they have been known to offer to bring supplies to the market to avoid shipping costs (I don’t know if they would make a habit of this). The website has a great section of recipe that explains the root beer/soda process done correctly. There are also some other pages dedicated to articles and the like. The product shopping pages are my favorite by far. 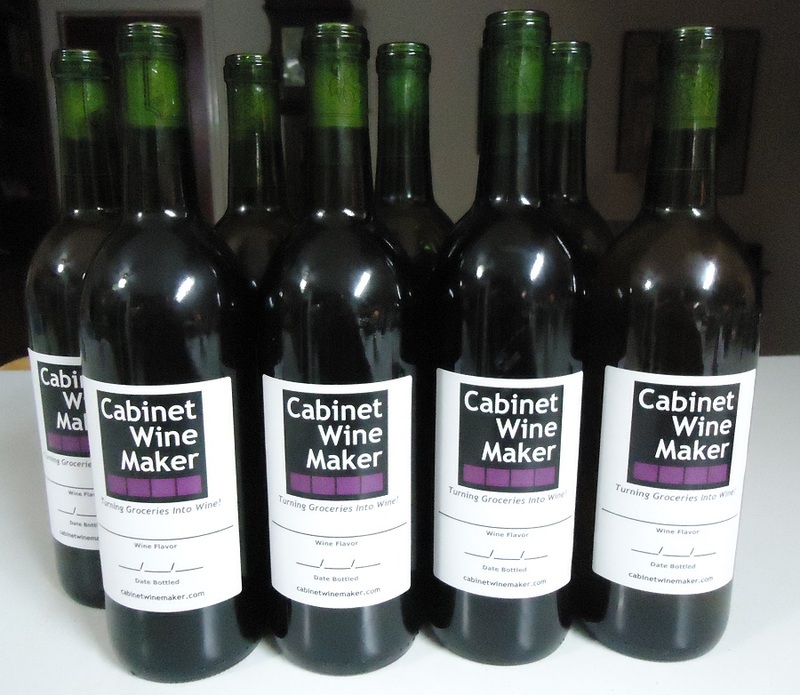 Check them out when you have a chance and tell them the Cabinet Wine Maker sent you. If you have never been to Good Neighbors, it is worth a Saturday morning with lots of local vendors, fresh fruits and veggies, farm animals and more. I will dedicate a post to them later.